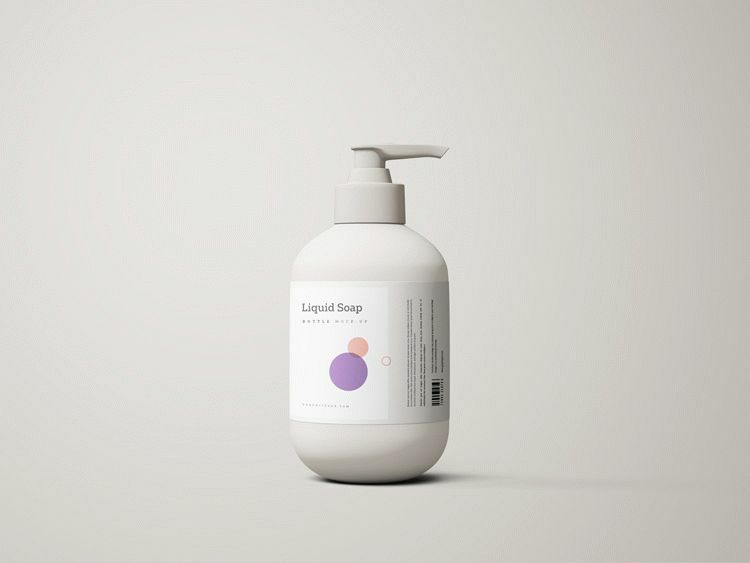 Simple easy to use free photoshop liquid soap mockup with wide range of customizing options and features. Simply drop your package label design in the smart object inside the psd file and watch your design converts to a photo-realistic rendered image. Adjust light and shadows as needed to reach an even finer result.